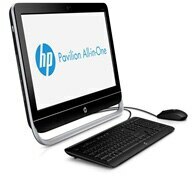 HP desktops are thoughtfully crafted with leading-edge technologies, subtle but powerful details, style and design. We make technology that works for you. Just what you need. Simple. Reliable. Everyday versatile computing. Smart choice. The power to perform. Excitement awaits. Designed like no other. Expect the extraordinary. HP’s Stream Mini and Pavilion Mini desktops are for everyone who was excited about Intel’s NUC until they saw the price. While we definitely like the NUC and think it’s a good value for what you get, the fact of the matter is a lot of people don’t need all the stuff it’s offering: fast-but-expensive PCI Express storage, a brand new Ultrabook-class CPU with a premium integrated GPU, and a build-it-yourself philosophy that your average computer buyer won’t want to deal with. If that was all they were, they’d be worth a passing look but not a whole lot more. They are rather low-specced, as you’d expect from $300-and-under desktops, and they use last-generation Haswell processors. 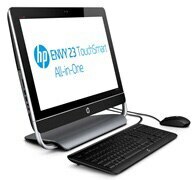 The NUC is a showcase for this year’s high-end Ultrabook chips, and these HP desktops are showcases for last generation’s budget models. However, the fun thing about these mini desktops for enthusiasts is that they’re dead simple to open and upgrade, and if you’re willing to spend just a bit more money it’s easy to tweak them to better suit your needs. PC companies like HP and Dell are paying more attention to design and consistency lately. HP’s EliteBook 1020 looks and feels a lot like a premium version of its Stream 11 and 13 notebooks, and the Stream and Pavilion Mini share some elements in common too. 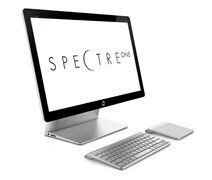 HP still has a huge lineup of different, sometimes poorly-differentiated systems with a bunch of different designs, but here there are signs that the company has created some design conventions being adopted across multiple product lines. Restore discs are not included. We recommend you use the installed software to create your own restore and backup DVD the first week you use the computer.